Dozens of innocent men still held at the Guantanamo Bay prison complex in Cuba can expect to be transferred in the next six months as the Obama administration tries to complete its policy goal of shuttering the prison, the Pentagon said. Pentagon officials said President Obama is in talks with leaders from a wide range of potential host countries in the hope that they will accept all 64 detainees now approved for transfer. Four men were transferred to Afghanistan last week after being held in the prison for over a decade without charge. Just before that, another six detainees were transferred to Uruguay as refugees. Most of the men scheduled to be released found the process halted when Obama put a ban on transfers in 2011-2013. Now, however, the president is recommitting himself to closing the facility. “He does not want to leave this to his successor,” Paul Lewis, the Pentagon’s special envoy for shutting down Guantanamo, said in an interview with the Washington Post. Defense Secretary Chuck Hagel has approved the transfer of five more men to a host country by the end of 2014 – marking a total of 28 transfers this year, if they go through. Five or six more men are expected to be freed in the first weeks of January. One of the four Afghani men transferred home was Shawali Khan who had legal representation from the Center for Constitutional Rights (CCR). “We welcome Shawali Khan’s transfer. Shawali was sent to Guantanamo on the flimsiest of allegations that were implausible on their face and never properly investigated, and held for 11 years without charge. We hope that soon he will be reunited with his loved ones,” said his attorneys from CCR. 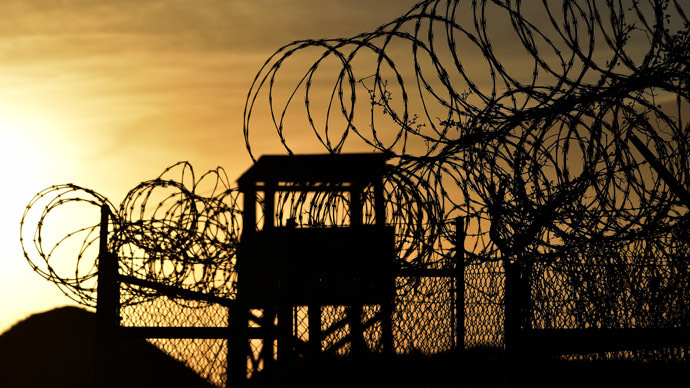 Guantanamo prison once held 779 detainees, but only 132 remain today. Eighty-four are from Yemen, and, of these, 54 are approved for transfer. HRW said the others held at Guantanamo include a man who had been Osama bin Laden’s media secretary, six men awaiting death-penalty trials as alleged conspirators in Al-Qaeda’s September 11 and USS Cole attacks, and an Iraqi man accused of leading Al-Qaeda’s army in Afghanistan. The rest are kept as so-called “forever prisoners,” who are ineligible for release – but for whom there isn’t any evidence to try them. Congress, meanwhile, has made itself clear about its opposition on releasing people from Guantanamo or transferring them to US prisons. These objections are driven in part by the re-appearance of some released American detainees on the battlefield. US intelligence officials have confirmed that 17 percent of the more than 600 Guantanamo detainees released or transferred since 2002 have re-engaged in militant activity. Another 12 percent are suspected of doing so. Abu Bakr al-Baghdadi, the head of the Islamic State, was once a prisoner at a US detention center in Iraq. According to HRW, many of the detainees at Guantanamo were reportedly handed over to US forces by bounty hunters in Pakistan and Afghanistan, after the US distributed flyers in these countries offering substantial monetary awards for turning in "suspicious" people. Others were linked to relatives or acquaintances suspected of criminal activity, and were therefore considered "guilty" by association. This month, the US military shut down the Bagram detention facility in Afghanistan, which held a small number of prisoners on a military base near Kabul. Bagram was once part of a massive US military operation to capture, process, and house around 30,000 prisoners in both Afghanistan and Iraq.